Everything in the technology front. Well well well! What a triumph for backward compatibility! 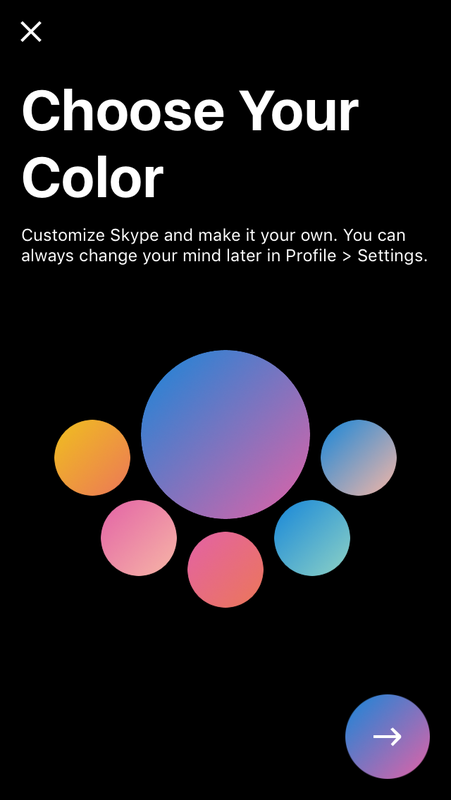 Days ago I just blogged and whined about how disappointed I am that Skype 8.1 dropped support for the iPhone 5. 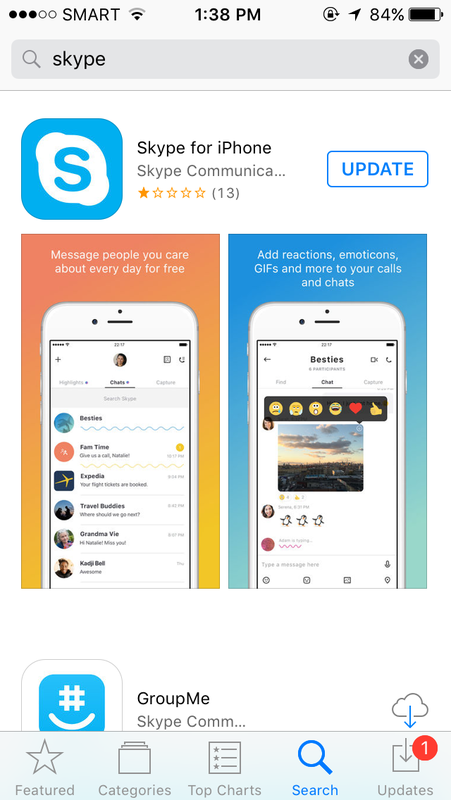 It looks like Skype has learned the error in its ways and have brought us iPhone 5 users back into its loving arms. I’m guessing I wasn’t a lonely voice in the desert asking them to repent because just a few days after the shocking release of 8.1 they released 8.1.2 announcing that the “issue” of backward compatibility has been “fixed”. No, its not an oversight on their part at all. They really meant to initially kick us iPhone 5 users out of the Snapchat-like update. Otherwise this compatible device list wouldn’t have been updated. That screenshot of the 8.1 update states explicitly that device compatibility starts from iPhone 5s and up. 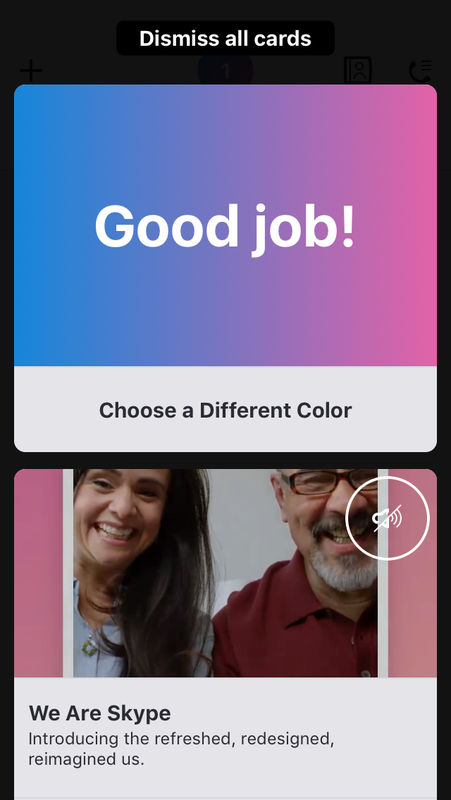 I have suspected that this is their way of heeding Apple’s “gentle” encouragement that developers update their apps to be exclusively 64-bit compatible. Now, I have nothing against progress, mind you. But looking at the updates and features they included in 8.1, I don’t feel like 64-bit is absolutely required. Sure there will be features that the iPhone 5’s hardware cannot support but in terms of the basic functionality plus a few bells and whistles, it should still work decently. So why hold out on us poor iPhone 5 users, right? The newest update, 8.1.2 now indicate backward compatibility with all iOS devices running iOS 9 and up. See below. 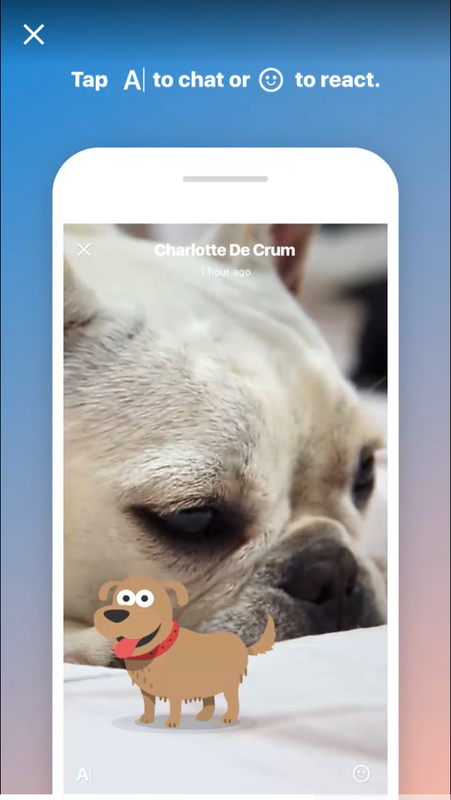 What’s more, this Snapchat-like update as I’d like to call it, boasts a lot of new features for fans of customization, stickers and all other fancy stuff we’re more familiar with from other messaging/social media apps. 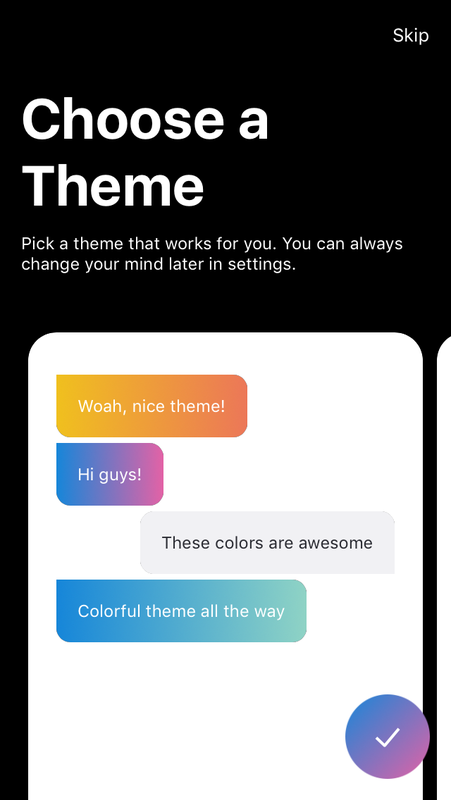 Are you bored with Skype’s blue theme? Well here you go. You can now change it as you please. 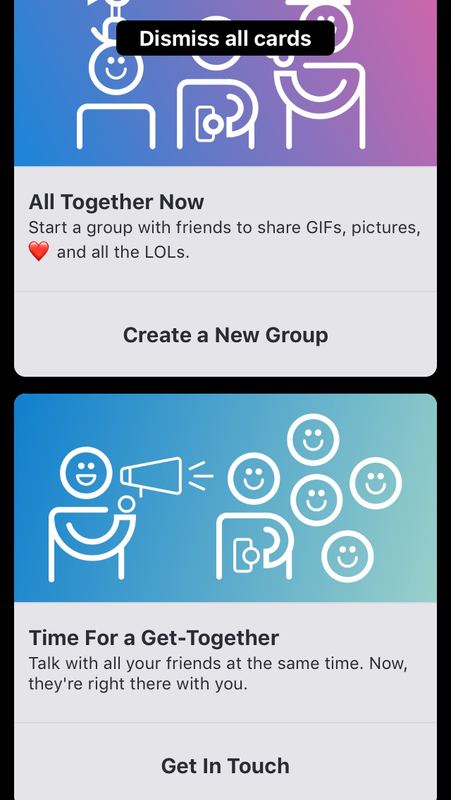 Now I couldn’t care less for these features, honestly. These shiny new things are lovely but I’m all about functionality and performance. 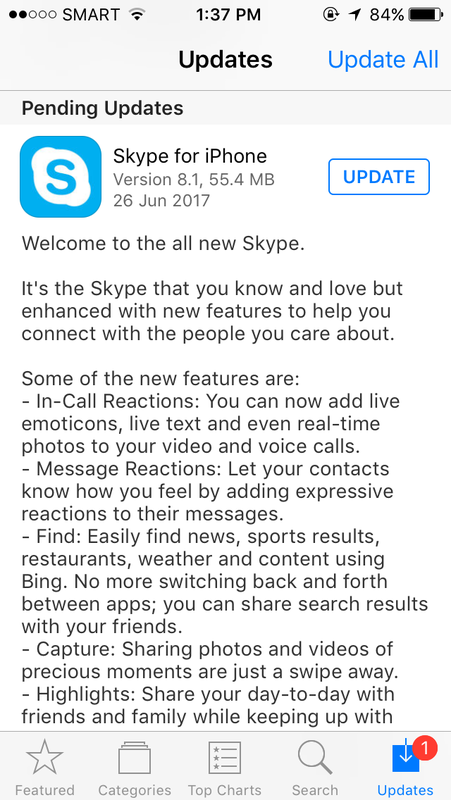 So as long as Skype works the way it promises to work, then I’m happy. And with 8.1.2 update bringing iPhone 5 back in, I couldn’t be happier. 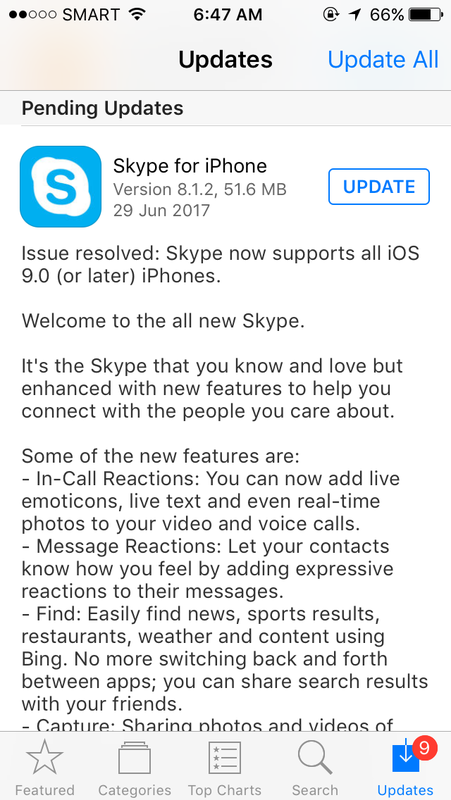 I hardly use Skype (at least not for calling) recently but I’m still upset that its latest update V8.1 dropped support for iPhone 5 and older devices. So this is it, then? 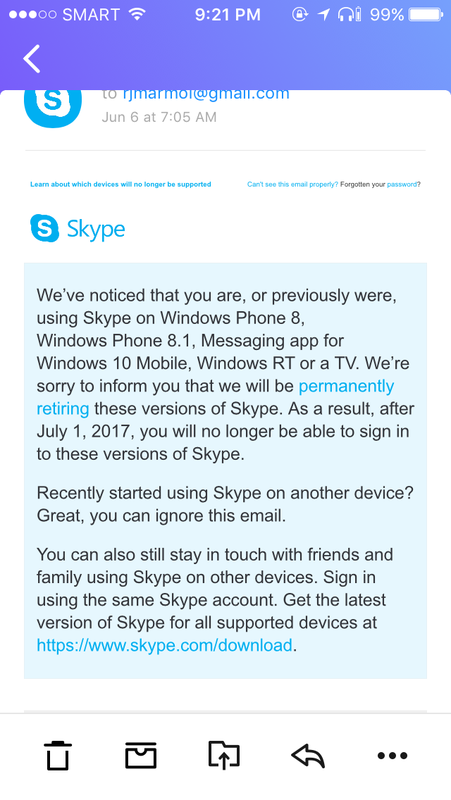 That weird alert email Skype users reportedly received about a month ago about Skype dropping support for older devices… this is it. That email, though referred to smart TVs and Windows phone and other devices. I didn’t realize it includes my poor old iPhone 5 too. 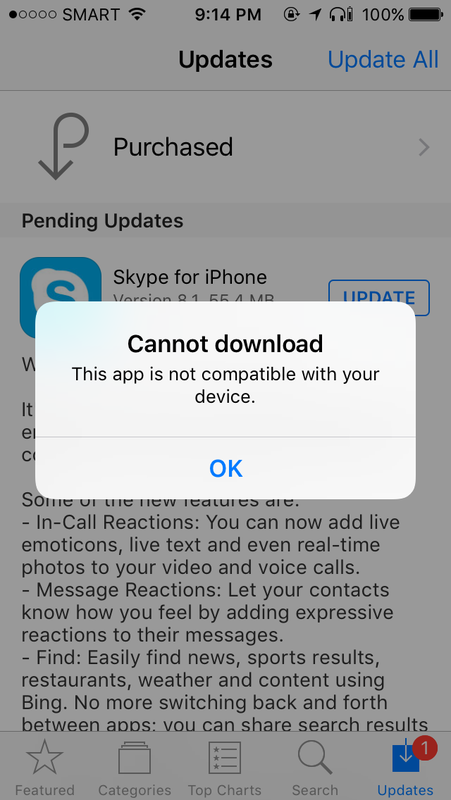 But then when I tried updating Skype on my phone, it didn’t let me. First of all, why Skype? Why? And you know what, for that matter, Microsoft why? Worse, it teases you with all these fancy features, only to let you down. 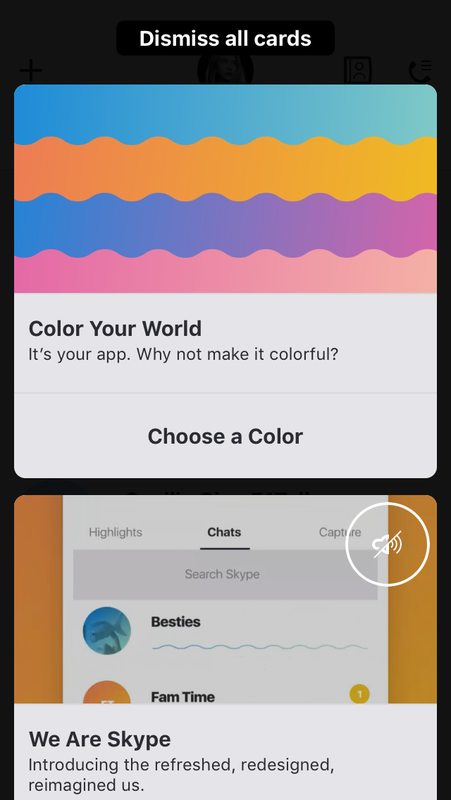 Skype has been clunky for the longest time across all devices (and that 1 star review on the App Store proves it), and yet instead of taking the high road and fixing the bugs, you take the easy way out by simply dropping support for all of them “older” devices. I loved Skype. I really did. in fact I still have Skype credit I haven’t used in years. Once upon a time, Skype was the household name for VOIP calls. It was the de-facto software for calling your near and dear wherever they are in the world. 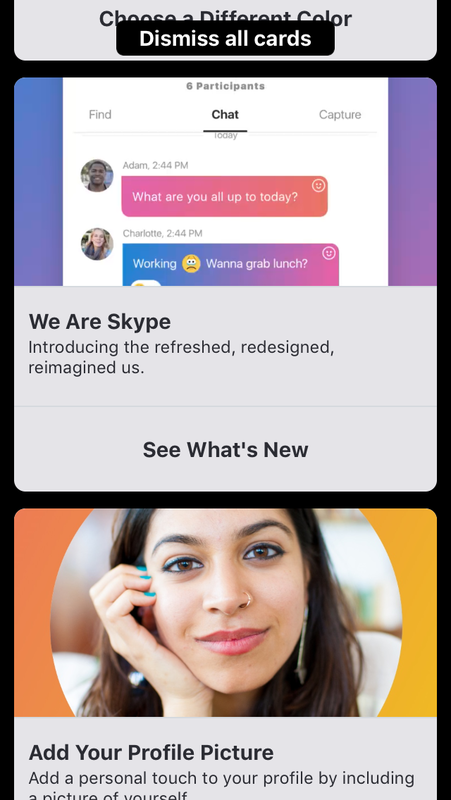 Then all these messaging apps started integrated calling features, cheesy stickers, payment facilities and all the many bells and whistles we never knew we needed but now can’t seem to live without..
Skype however, didn’t budge and relented pretty late. Too little, too late actually. Now if they did this in favor of keeping the calls solid, that would’ve been understandable. But that’s not even the case. 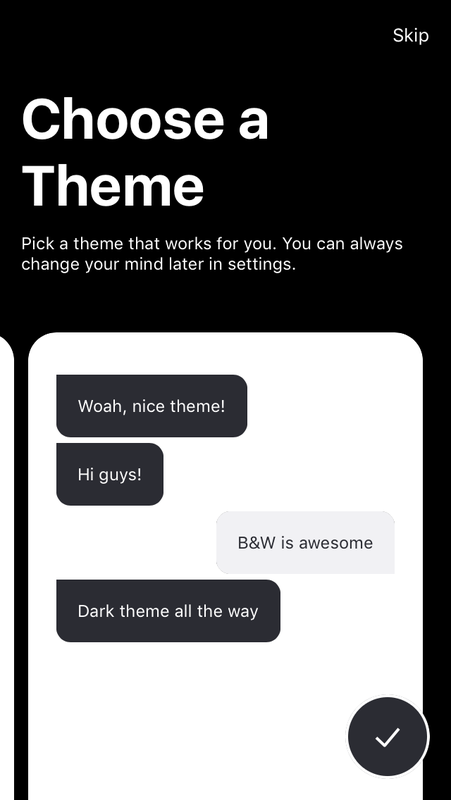 The service just kept getting worse by the day — calls dropping, call quality degrading and recently, snail-paced response while loading previous conversations in chat. But maybe it’s just my device. The iPhone 5, at least the one I have, is actually over 4 years old. And for a modern device, that’s pretty old. Still, I can’t help but be upset that I can’t update Skype. Maybe it’s sentimentality taking over. Or maybe I just can’t get over the fact that 32-bit devices are going the way of the dinosaur sooner than I imagined. I dropped my iPhone 5 innumerable times and replaced its battery thrice. Replaced cracked screen twice. And just like the 4S and the 3GS before it, it’s hard to wake up one day and realize that OMG you “need” to get a newer phone if you wanted to use a decent range of apps. It doesn’t help that the Apple App Store started removing 32-bit apps. 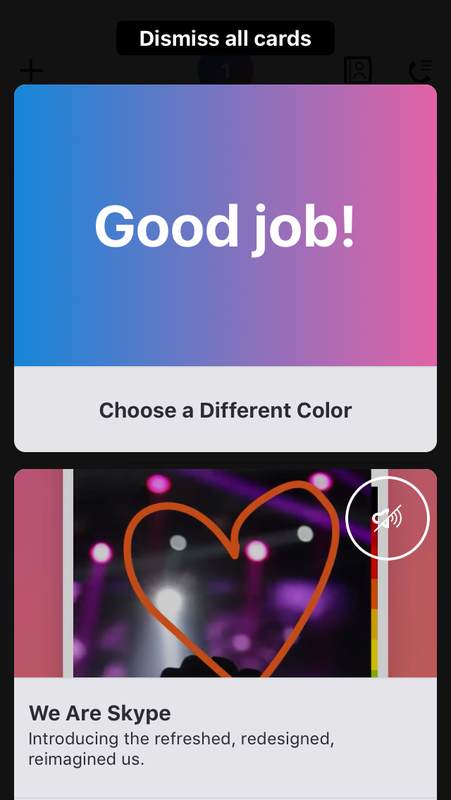 It’s almost like you’re being pushed into a corner to upgrade or go Android. I was happy when iOS 10.3.2 kept support for the iPhone 5, contrary to many previous reports and speculations. Come iOS 11 though, it’s bye bye iPhone 5. Sadly this is our reality. My reality. I just have to either grin and bear it. Or get a newer phone. But with my iPhone 5 still alive and kicking, I simply can’t justify replacing it. Maybe soon… when my 5 finally dies on me. Until then, ’till brick do us part.